The Forge Pendant is a solid copper or brushed aluminium shade designed by award winning designer Chris Eckersley. This elegant looking pendant would hang perfectly in your kitchen, dining room or hallway. Choose from polished copper, aged copper or brushed aluminium. Each one is hand spun and hand finished by talented British craftsmen. The stylish ventilation holes will cast a beautiful pattern on your ceiling drawing attention to this individual piece. 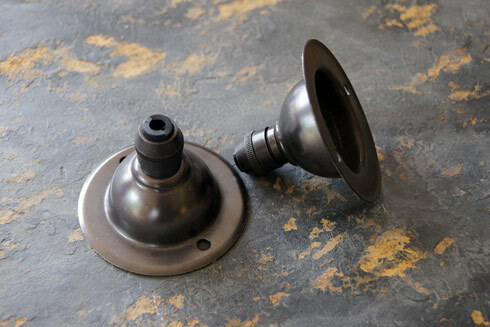 Optional extra: Bronze ceiling rose. Also available with rivited, blacksmithed band.